Robert Silman, founder and President Emeritus of Silman and Trustee of the Fitch foundation was recently presented with the Louise du Pont Crowninshield Award from the National Trust for Historic Preservation commending Mr. Silman’s dedication to historic preservation for over 50 years. This is the first time that the award has been bestowed upon a technologist, recognizing the vital role that engineering plays in preservation of the built environment. Mr. Silman has worked on over 450 historic structures and landmarks in his illustrious career, including Carnegie Hall, Fallingwater, The Solomon R. Guggenheim Museum in New York City, the Harvard Art Museums, historic state capitol buildings in New York, New Jersey, Virginia, and Wyoming, and on the US Supreme Court Building and the National Cathedral in Washington, DC. In 2008, Mr. Silman helped create a joint initiative between the National Trust and the National Park Service’s National Center for Preservation Technology and Training Board. The initiative called attention to the natural affinity between preservation and sustainability. The result of the intensive three-day conference was the recognition by preservation officials that the most sustainable building is the one that is already built. 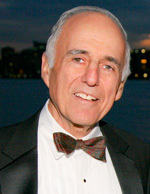 Robert Silman is President Emeritus of the structural engineering firm he founded in 1966. Mr. Silman has particular expertise in historic preservation, as evidenced by his work on Carnegie Hall, Fallingwater, and the Immigration Museum at Ellis Island, and including knowledge of construction systems in the United States dating back to our earliest building types. On the basis of his outstanding professional qualifications, the Secretary of the Interior appointed Mr. Silman to the Advisory Board for the National Center for Preservation Technology and Training, for which he is past-Chairman, representing the fields of engineering and preservation education. He has lectured at various conferences and written articles on sustainability for Structural Engineering International. Mr. Silman, in association with the National Trust for Historic Preservation and Friends of the National Center for Preservation Technology and Training, assisted in writing the Pocantico Proclamation on Historic Preservation and Sustainability. This work was followed with the Nashville Challenge in October 2009, co-chaired by Mr. Silman. He currently teaches at the Graduate School of Design at Harvard, having previously taught at Columbia and Yale, and recently completed his term as a member of Cornell University’s College of Architecture, Art and Planning Advisory Council.